Abbey Neidik is an established Director and Producer with a career spanning 35 years. He has worked on over 70 films, including two Academy Award nominees. He has won numerous international awards including a Genie, a Silver Hugo, a Gold Apple, Gold Plaques, Gemini and Gémaux nominations, and many international best documentary awards, first prizes, audience awards and special honours. In 1980 Neidik and his partner Irene Angelico formed DLI Productions. Together they produced and directed Dark Lullabies, a film about the effects of the Holocaust on the next generation. The film was included in The Fifty Greatest Documentaries of all Times at the International Salute to the Documentary, and represented the best of the NFB at retrospectives in London and France. Next Neidik directed Between The Solitudes / Entre Solitudes, about the Anglos of Quebec; The Love Prophet and the Children of God, is an inside look at one of today’s most controversial religious cults and was awarded a Gold Plaque in Chicago. The Cola Conquest, that looks at Coca-Cola as a metaphor for America and American influence worldwide. Neidik next co-produced and directed The Journey Home: A Romanian Adoption, a tender and emotional film about Romanian orphans a decade after the fall of Ceausescu, and co-produced and co-directed She Got Game: Coming of Age on the WTA Tour, a unique, behind-the-scenes look at women’s tennis. More recently, Neidik produced Vendetta Song, which examines the tradition of honour killings in rural Kurdish tribes in Turkey; directed Unbreakable Minds, a poignant film that aims to de-stigmatize and humanize mental illness; co-produced and co-directed (with Angelico) Inside the Great Magazines, a three-part special about the inner workings of the magazine industry and the people who create them; and directed Canadaville, USA, about the lives of a group of Hurricane Katrina evacuees as they struggle to rebuild and break out of the cycle of poverty. Currently, he is co-producing and directing Space Race 2 about the privatization of Space and the next great turning point in human history, and An Ill Wind, about the effects of industrial wind turbines. Neidik’s latest production is Shekinah: the Intimate Lives of Hasidic Women, which gives us an unprecedented look into the rarefied world of Hasidic women. Along with his work in film, Neidik has been involved in the publication of The Aftermath: A Survivor’s Odyssey Through War-Torn Europe, which he edited with Angelico and Mark Pendergrast. The manuscript, which was the inspiration for Dark Lullabies, was endorsed by Nobel Peace Prize Laureates Elie Wiesel and the Dalai Lama. Irene Angelico is an acclaimed film director, producer and writer. Her work was included in The Fifty Greatest Documentaries of all Times at the international Salute to the Documentary, and selected to represent the best of the NFB’s Studio D at retrospectives in London and France. She was the first woman from Quebec selected for Women in the Director’s Chair in Banff and is the founding chair of CIFC-Montreal (now DOC Quebec). She is presently chair of Magnus Opus, a monthly program presenting the world’s best documentaries. In 1980, Angelico and her husband and partner Abbey Neidik formed DLI Productions. Together they produced and directed Dark Lullabies about the effects of the Holocaust on the next generation of Germans and Jews. This highly regarded film continues to be shown worldwide and has garnered many prestigious international prizes and was featured at the Stratford Shakespeare Festival this summer. Angelico went on to direct and write other international-award-winning films including The Cola Conquest, about Coca-Cola as a metaphor for America; Black Coffee, about the history and social impact of coffee and Inside the Great Magazines, about the first international media. Angelico also produced and wrote many successful documentaries including Entre Solitudes; The Love Prophet and the Children of God; She Got Game; Vendetta Song; Canadaville, USA; and Unbreakable Minds, a poignant film that aims to humanize mental illness. Currently, Angelico is co-producing Space Race 2 about the next great turning point in human history, and An Ill Wind. She is also in development with Mirror Mirror, a visual poem about reflections. She is the producer of Shekinah: the Intimate Lives of Hasidic Women. Along with her work in film, Angelico has been involved in the publication of two books. With Abbey Neidik and Mark Pendegrast, she edited The Aftermath: A Survivor’s Odyssey Through War-Torn Europe, the manuscript written by her father, which was the inspiration for Dark Lullabies. The Aftermath was endorsed by Nobel Peace Prize Laureates Elie Wiesel and the Dalai Lama. This year, Angelico and Yehudi Lindeman launched The Third Seder: A Haggadah for Yom HaShoah. Twenty-five years in the making, The Third Seder includes new rituals they created uniquely for the commemoration of Yom HaShoah. Mushka (Monika) Lightstone edited and co-produced “FUN” (winner of the Sundance Special Jurors Award). Bothered by the rampant violence and darkness in the film industry, she stepped out for some fresh air near her home in Hollywood, California. Gazing out onto Melrose Avenue, Lightstone faced two clashing cultures: the bars, the party scenes, and the adult entertainment on one hand, and the fervent, Hasidic Jews on the other, individuals who live according to their faith, severely limiting outside, secular influences. Curious about these neighbors, a slice of American culture totally new to her, Lightstone picked up her camera and began to capture everything that was different to her eyes. It was fascinating to document such strong differences between teenage girls who were exposed to mainstream American culture and those that weren’t. Lightstone soon began a spiritual journey into the mystical teachings of Hasidism. Lightstone also began work on a documentary, Shekinah: the Intimate Lives of Hasidic Women. Through this 5-year project, she focused on the beautiful Hasidic mandate of transforming darkness into light through action. In 2009, she approached D.L.I. Director Abbey Neidik to film a group of Hasidic students at the Seminary BMC in Ste. Agathe, Quebec where a Hasidic wedding would take place in the public square. The wedding brought two divergent cultures together for the first time, the Hasidim and the French-speaking Quebecois. The story is a tribute to her father Bernard Dorfman, who passed on the day of the wedding. 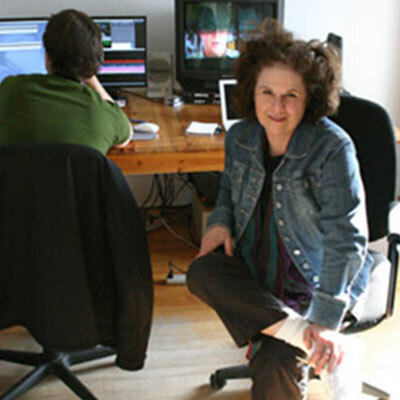 Margaux Ouimet has been working in documentary film production for over twenty years. Born in Montreal, she began her career at the National Film Board of Canada where she was a producer and director for ten years. At the NFB, she directed a short fiction, The Sky’s The Limit, and co-directed two award winning documentaries about women with disabilities and work, Le Vent dans les voiles and The Impossible Takes A Little Longer. For more than a decade, Margaux Ouimet has been working in the private industry, often in co-production with the NFB. In 1999 and 2000, she initiated and production managed a 13-part series, Pareil pas Pareil which was produced by Pixcom and broadcast for two seasons by Radio-Canada television. In 1999 as well, The Road from Kampuchea, produced by Margaux Ouimet, won Best Political Documentary and the VisionTV Humanitarian Award at Hot Docs International Festival. In 2003, La Cueca Sola, co-written and co-produced by Margaux Ouimet, won Best Canadian Documentary (medium length) at Hot Docs International Festival, and several other awards in European and Latin-American festivals. Recently, Margaux Ouimet has production managed short fictions, written several documentary scripts and directed sections of the multi-media project, Salut Riopelle! (Mobiüs Award), a Tram Design-NFB production. Jeremiah Hayes is a Gemini Award winning director, editor, and writer whose filmmaking has been honored by a prestigious Peabody Award. 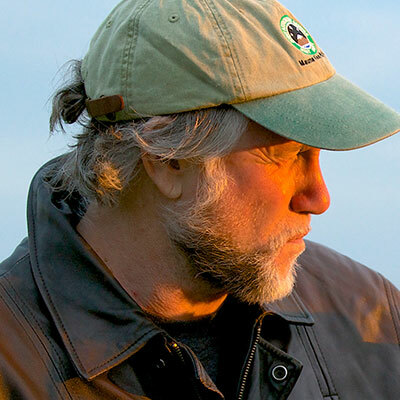 For over 20 years, he has used his keen sense of storytelling to find hidden layers of meaning in over 30 film projects, (including mid, to feature length high end documentaries, as well as over sixteen television series). Twice featured at the Toronto Film Festival, his work is known for having a compassionate eye, and a style that pushes the boundaries of conventional filmmaking. Committed to excellence, and films of social relevance, he has garnered numerous accolades, and awards for his work.